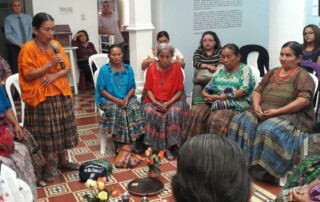 On February 26, 2016, indigenous women from the community of Sepur Zarco made history when they and their legal team successfully prosecuted former Guatemalan military officials for sexual and domestic slavery. 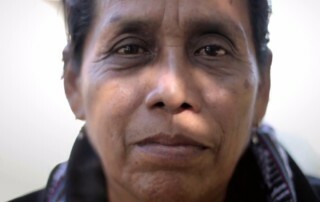 Based largely on the testimonies of 15 Q’eqchi’ survivors, a Guatemalan tribunal convicted two men—former Military Commissioner Heriberto Valdez Asig and former Colonel Esteelmer Francisco Reyes Girón—of crimes against humanity for sexual and domestic slavery carried out at a military recreation center in the 1980s. 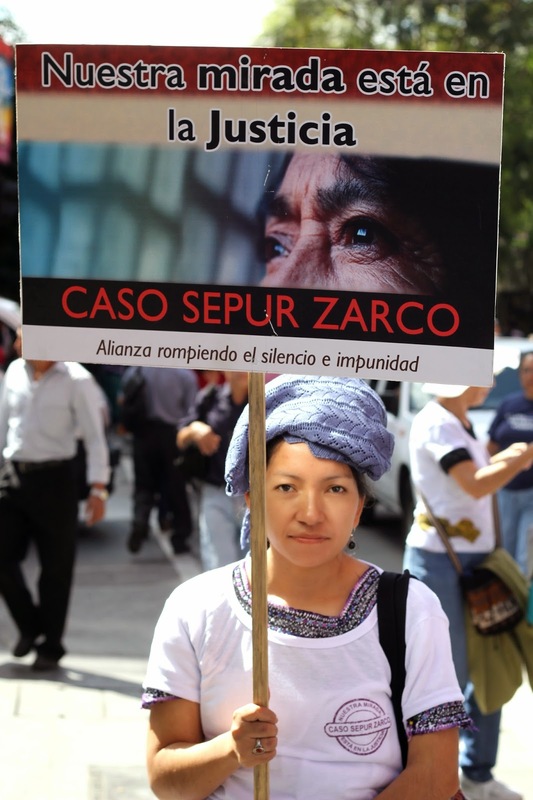 While the defendants faced charges for other crimes committed in the same context, including the forced disappearance of several of the women’s husbands, the trial holds national significance as the first transitional justice case in Guatemala to firmly center the experiences and impacts of sexual and domestic violence against women during the internal armed conflict. When I became strong enough to be able to say what I had to say, I told the whole truth. That was what gave me strength…The moment came that we had been waiting for, for so long – to see justice. 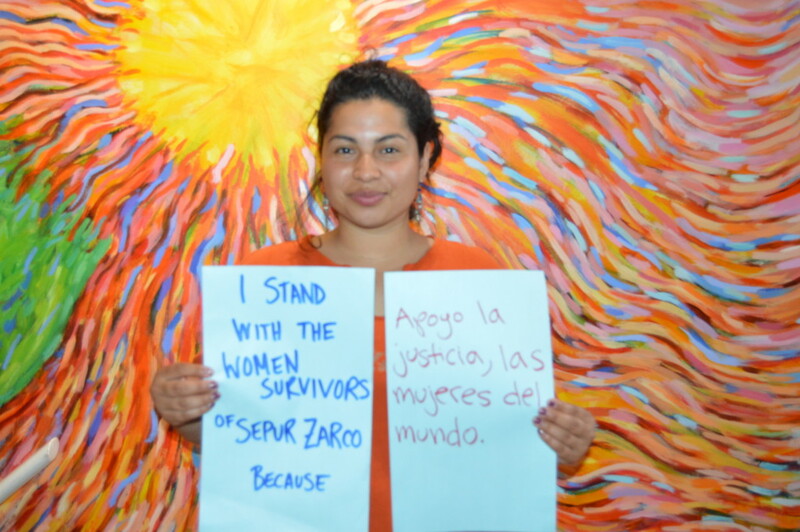 The importance of comprehensive reparations for the women of Sepur Zarco. 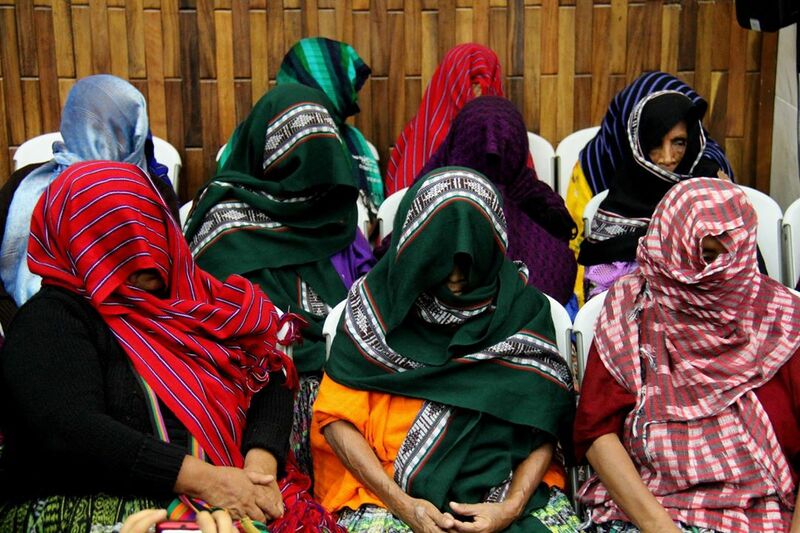 Q’eqchi’ women set a precedent in Guatemala with first-ever conviction for sexual and domestic slavery. 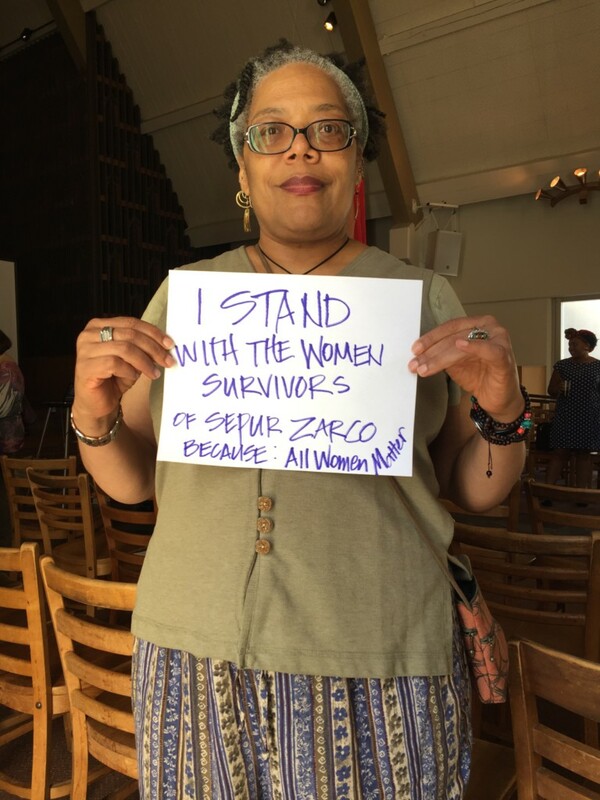 Report-back from the “Guatemalan Women Healing Towards Justice” tour, featuring Maudi Tzay from the Alliance to Break Silence and Impunity. 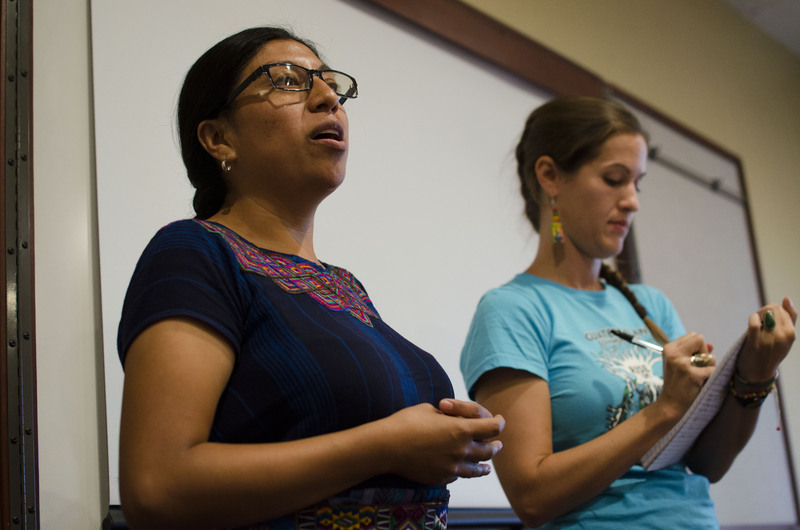 In the early 1980s, communities in the Polochic Valley in Guatemala challenged wealthy landowners for legal titles to their ancestral lands. Around the same time, Guatemalan dictatorships constructed several military bases around the region of Sepur Zarco with the support of the U.S. The base built in Sepur Zarco was designated a military recreation center, where troops would return after taking 15-day rotations patrolling the surrounding mountains. 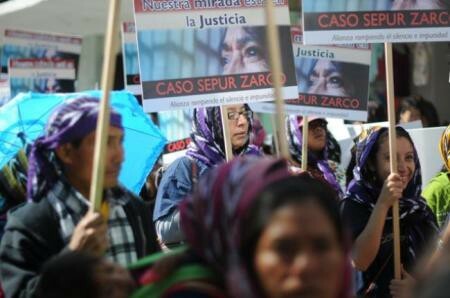 The soldiers at the Sepur Zarco military base disappeared men from the community who were seeking land titles, demonstrating the powerful connections between wealthy elites and the military. The women that survived them were then forced into sexual and domestic slavery for years. The trial illustrated how patriarchy and racism play out on women’s bodies in war. 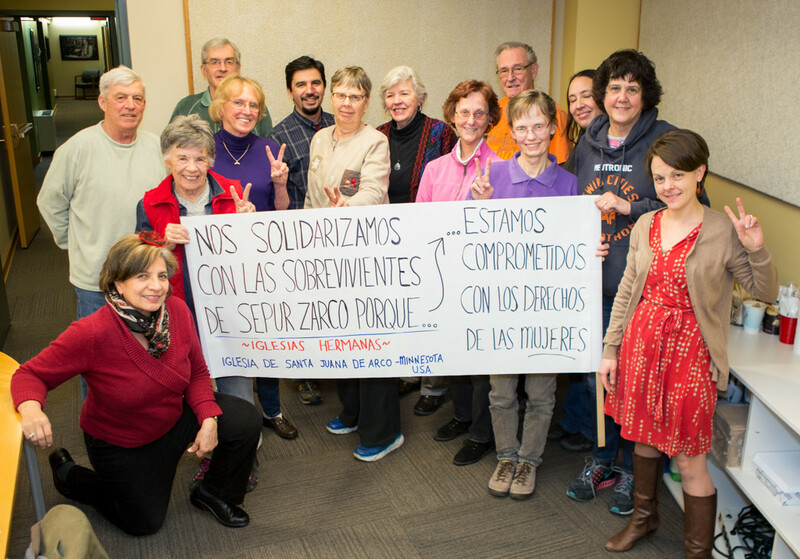 Grounded in the recognition that these systems endure today in Guatemala and the world over, the women survivors prosecuted this case as part of a multi-faceted strategy for social change. 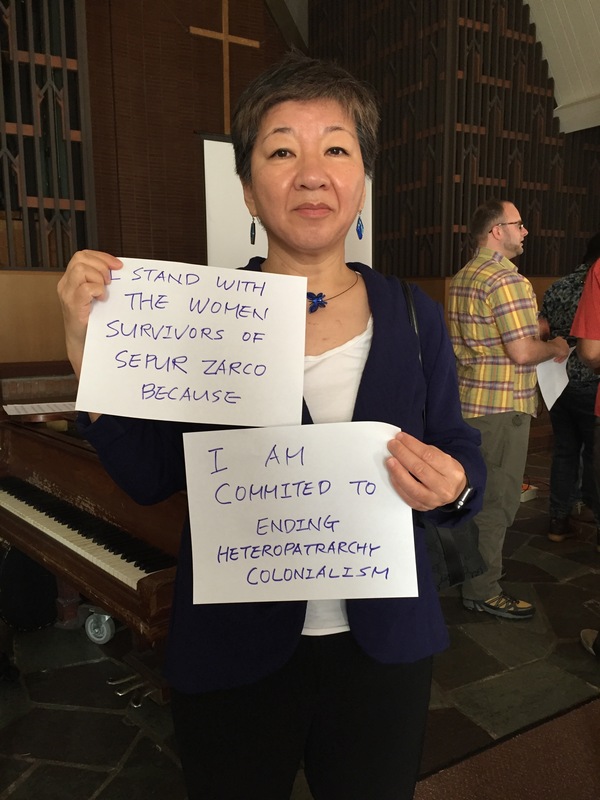 To do so they worked with a coalition of feminist, legal, and psychosocial organizations known as the Alliance to Break Silence and End Impunity. After the verdict, the courts ordered 18 reparations to redress the physical, psychological, and material impacts of the violence. 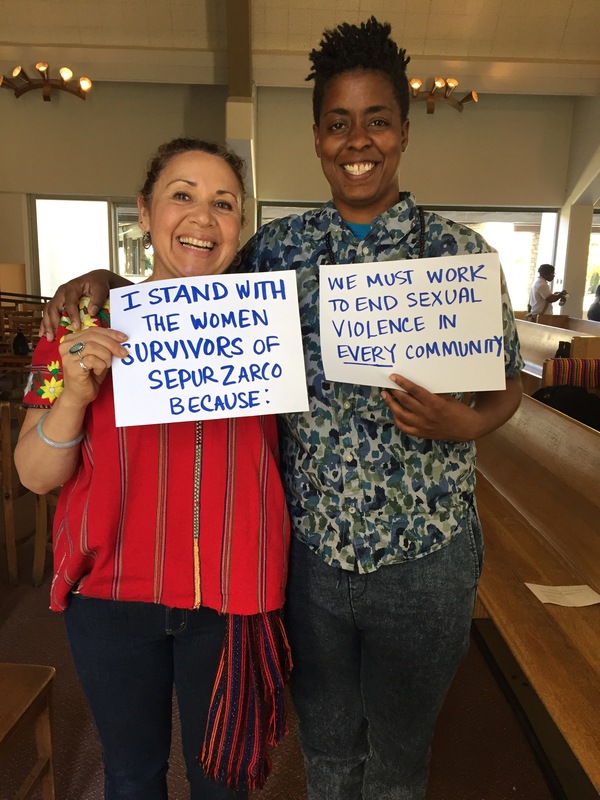 These include increased access to healthcare and education for survivors and community members, and legal reforms to reduce the barriers against survivors of sexual violence. 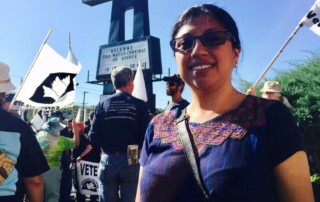 The reparations focused on repairing harm, dissuading future violence, and community healing. 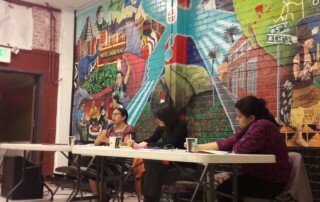 Survivors repeatedly testified to the psychological and economic impact of their husbands’ disappearances and how a lack of land access has perpetuated poverty. 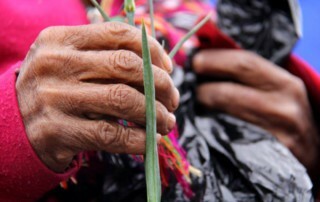 To carry out court ordered reparations, the Guatemalan national land registry must grant land titles and prioritize families of those forcibly disappeared while in the process of registering their land. 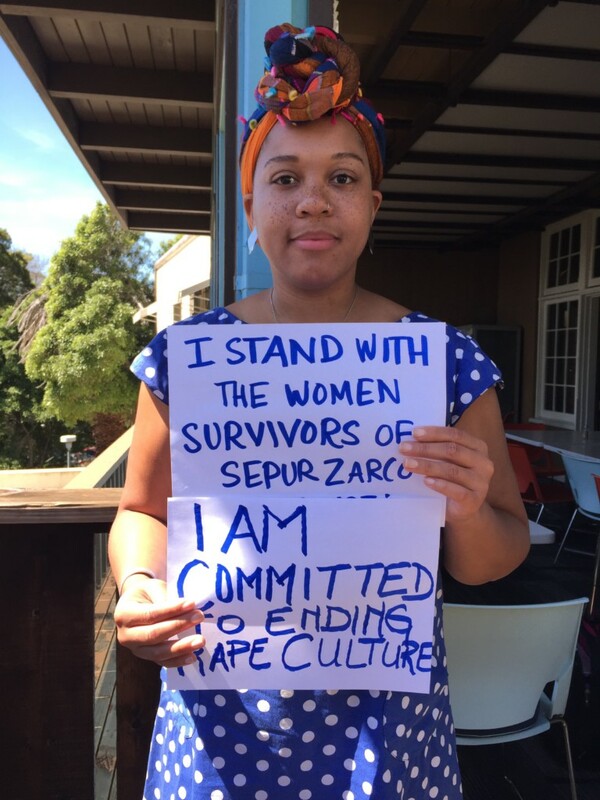 Nonetheless, almost three years after the sentence, survivors have yet to receive titling. 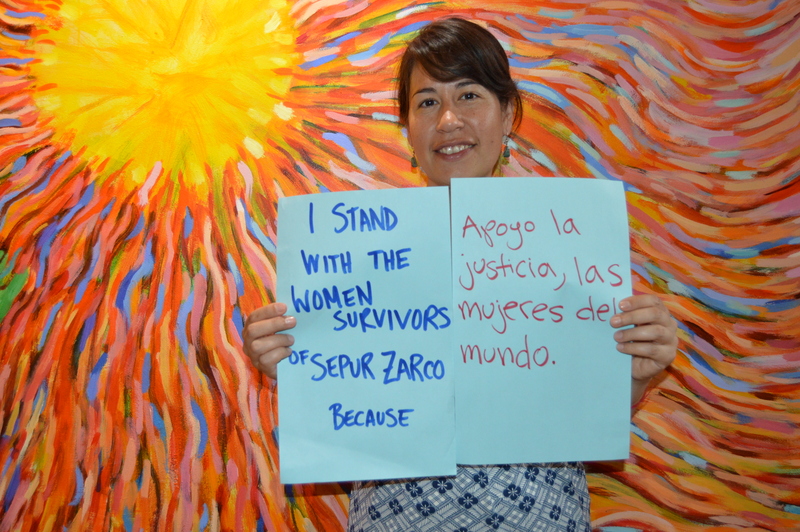 The Alliance to End Silence and Impunity called upon the international community to stand in solidarity with the women survivors of Sepur Zarco to ensure the legal system respects the sentence. 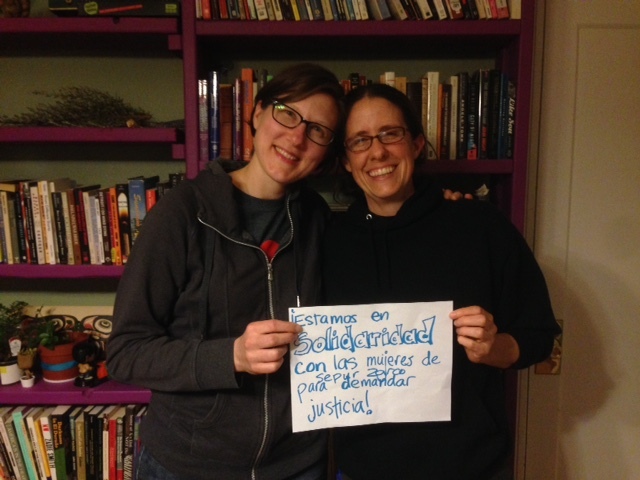 The Alliance made direct requests for accompaniment, reporting, and advocacy to broaden the social impact of the case on a global scale. 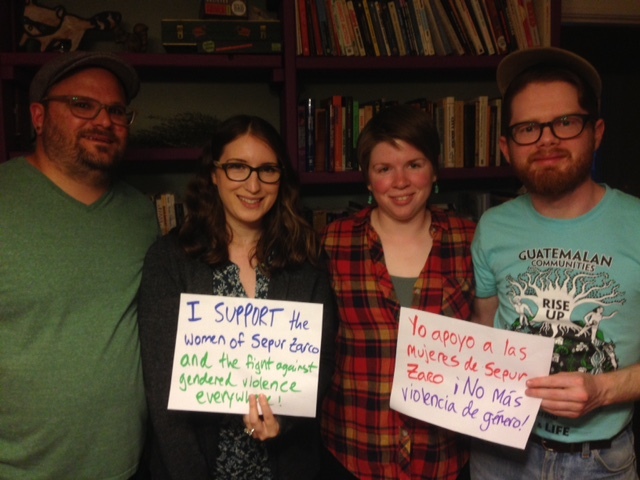 Members of NISGUA responded to this call by gathering together to educate themselves and express solidarity with the survivors. 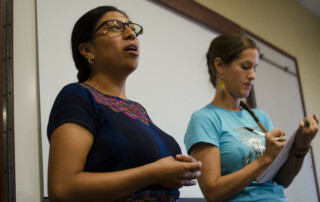 We strengthened movements in Guatemala and the U.S. by drawing direct connections with local feminist struggles for gender justice and indigenous solidarity.